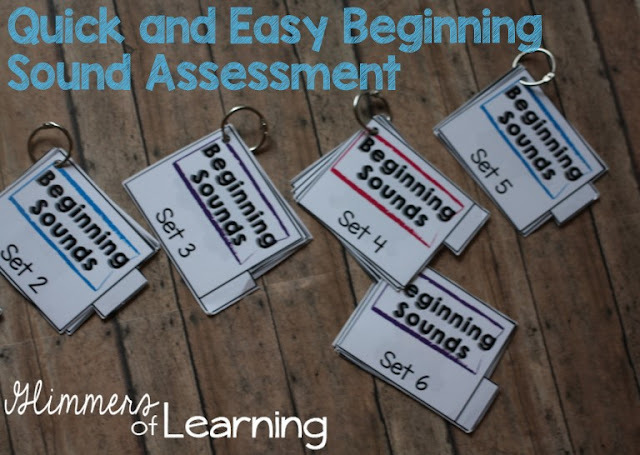 Need an Easy Beginning Sound Assessment? I've Got One For You! 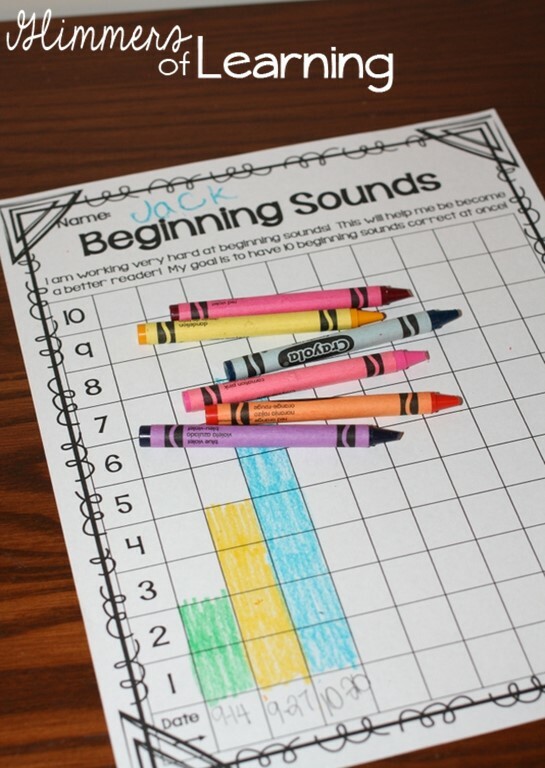 As all early elementary educators one of the pre-reading skills that we focus on with students is beginning sounds. I needed a quick and easy assessment that I could track progress, and throw in my bag as I traveled from school to school! So I decided to create one! You will find six sets of common pictures. There are ten pictures in each set (easy and quick to get a percentage from). I keep all of my sets on one ring as it would be convenient as I traveled to and from schools. But as you will see in a few pictures you could also divide them into six sets and hang them somewhere in your classroom. Here are a few pictures in set one. I have included a cover for each set that includes a tab, that way if you choose to put them all on a ring it will be easy to flip to another set. I have updated this set to include the set number on the tabs and given tabs a nice color as well, to help the speed and ease of assessing. Included in the packet you will find 3 different data collection forms. Every teacher has a different way of collecting data and it was my goal to make it easy for you! For my data collection I like my students to have their own separate data collection sheets and I keep them separated by dividers in my data collection binder. So this form is for one student only. On this form you can track all students in your class and quickly see scores. Great for comparing or creating literacy groups. This was a little too much writing for me so I created a third form! This form actually ended up being my favorite form in the end! I have included all the set numbers and a spot for the child's score. So when assessing you circle the set number and write the total correct for that set. No need to put out of 10 because each set is always out of ten! I think it is important to get students involved in their learning and one way is data collection. I created forms for students to keep track of their own data and see improvement. I personally do not like or agree with displaying students’ scores around the classroom so my students each have their own personal data collection binders that myself, the student and their parents are the only one who views their scores. I could not decide on what boarder to choose so I created three for students to choose from! I will be updating this product VERY soon and it will include two different ways to assess beginning sounds! Will be great for non-verbal or speech delayed students!! Go grab this bundle now at $1.50 as it will raise to at least $3 within the next few days when I update the product! !